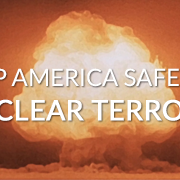 Nuclear arms control is a critical pillar of America’s national security. Negotiated agreements to reduce the threat posed by the Cold War nuclear arms race have always enjoyed strong bipartisan support in the U.S. In 1982, President Reagan proposed that the U.S. and the Soviet Union reduce their nuclear arsenals by thousands of warheads each. This proposal became the basis for the 1991 START I treaty. Since that time, every U.S. President, in concert with Russia, has advanced President Reagan’s legacy through steady and prudent reductions of the world’s two largest nuclear arsenals, including the 2002 Treaty of Moscow, signed by Presidents Bush and Putin. On April 8, 2010, Presidents Obama and Medvedev signed the new START treaty, agreeing to further reduce both sides’ arsenals and bring into force a new regime for inspections and verification. This was a necessary and appropriate step toward safeguarding our national security. Without the new START, the U.S. has no legally binding ability to conduct inspections of Russia’s nuclear arsenal, and would be in a far weaker position to lead the world in stopping nuclear proliferation. This project is made possible by the generous support of Ploughshares Fund and The Connect U.S. Fund.